Today, pump installations demand a high standard for efficiency. The Aurora 340 Series pump meets this demand and exceeds the expectations of aquatic designers, and municipal and commercial pool management. Conceived from 90 years of design expertise the Aurora 340 Series pump is quiet, smooth running and provides a long reliable service life. Flexibility makes the 340 Series pump the answer for your custom aquatic features. 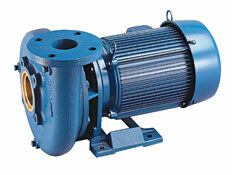 Interchangeable standards and options help to easily configure any 340 Series pump. Capacities can be customized to 2500 GPM, heads up to 100 feet and temperature ranges to 106°F. This single-stage end suction pump is the work horse of an energy-efficient aquatic facility. Let Pentair Commercial Aquatics™ customize a 340 Series pump for your water feature or pool.